The best part about hiking solo is the ability to “hike your own hike.” That’s sort of a mantra along the Appalachian Trail for thru-hikers and in today’s world, it offers something the rest of our lives don’t: Freedom. I set out for this as-yet unexplored eastern part of the state well before sunrise with temperatures well below freezing. 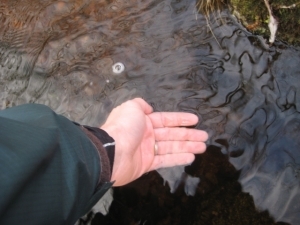 (Though, my Gloves Limit was not breached… somewhere around 15 degrees maybe.) 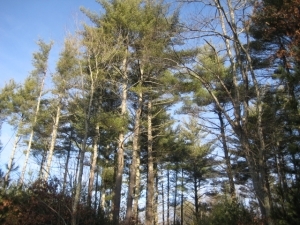 My plan was to hike the whole of the Quinebaug Trail in two sections with a solo car spot along the way, with two out-and-back Quinebaug jants and then hiking up a small section of the Pachaug back up to my car on Hell Hollow Road at Hell Hollow Lake simply to change up the scenery a bit. Alas, a few things happened. One, Hoang told me to take my time and don’t bother rushing back as I usually do. 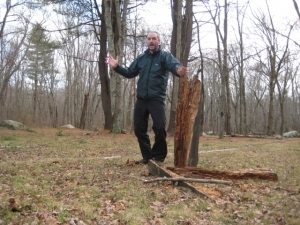 Two, my Quinebaug hike was cut short by the potentiality of rogue Sunday hunters and three, I was feeling good and hiking fast, so why not keep going? And so I did just that. After hiking most of the Quinebaug south, I was not confident continuing the final mile to its end on Breakneck Hill Road. The constant barrage of shooting range fire always sort of bothers me, but upon seeing two guys on an ATV decked out in full-on hunter’s gear (they didn’t see me), I decided to turn tail and just head up the Pachaug. Hunting is illegal on Sundays in Connecticut (despite a push to lift the ban), which allows nice people like me to hike without fear one day a week during hunting season. However, as fellow CT 400(825) hike King Whistle noted via email, “All it would take is one yahoo fueled by too much early morning SoCo.” Yup. 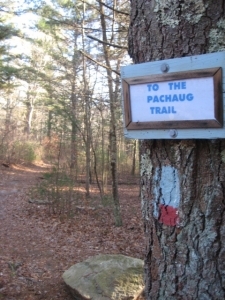 Besides, I’ll pick up that last mile another time while also doing the first (westernmost) section of the Pachaug – along with some Nehantic thrown in for good measure. Point of order: Unless something extraordinary happens or is seen, I won’t bother writing about the crossover trails down here. There are a bunch and they will certainly be indispensable to me, but there’s really no point in separate pages for them. It must be noted, however, that there appears to be two southern crossovers from the Quinebaug. 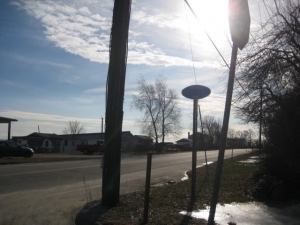 There is a split just northeast of Phillips Pond that allows one to go further north or south depending on one’s choosing. 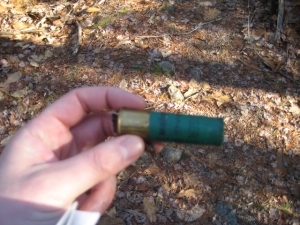 I took the northern route noted in the Walk Book and quickly hit the Pachaug after about a mile though some pine forest and spent shotgun shell casings. Have I mentioned how this area is a HUGE hunting haunt? Not only does the Walk Book mention this, but King Whistle also told me as well. It’s a different Connecticut down here, that’s for sure. 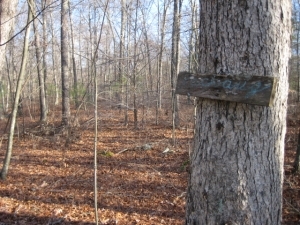 The first mile north was entirely unremarkable, except for maybe the quaint habit these trails have of nailing very old trail name signs to trees – written in cursive for some reason. 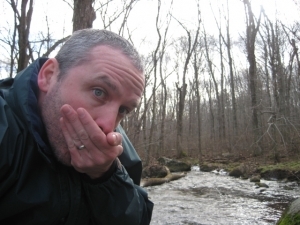 Did I say “unremarkable?” Shame on me – my trek took me through the actual Hell Hollow that so many fear! Since I’d already survived my hike down the western side of the hollow via the Quinebaug, I passed through with nary a poltergeist. 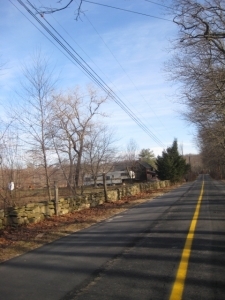 I soon hit the infamous Hell Hollow Road (Previous CTMQ visit here), crossed it, and made my way to the top of the hill and then back down and out to the very same Hell Hollow Road at the Sterling/Voluntown town line. This area is rife with demonic place-names. 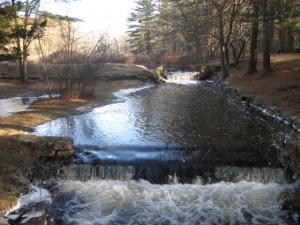 Aside from the aforementioned Hell Hollow, Road and Pond, just a tad south is Mount Misery and over on the Quinebaug is Devil’s Den (CTMQ visit here). Basically, the rocky ground here is just terrible for farming and back in the 18th century, if it wasn’t good for farming, it was simply hellish. Of course, these days that means that wackadoodles and nutjobs will ascribe all sorts of hooey to such places and go about foolishly making stupid websites with horrible spooky music. But you can’t beat this particular band of idiots and this childish video of their nighttime visit. Sigh. The only thing to fear in these woods is hunters and twisted ankles. Period. After my road jog, the trail enters the woods again after some houses and passes some (surely haunted) old stone foundations and cellar holes. 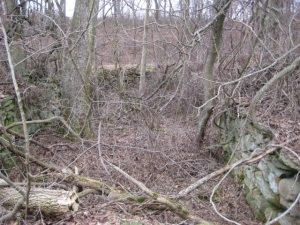 These were probably the best preserved of all the cellar holes I’ve seen in my hikes. 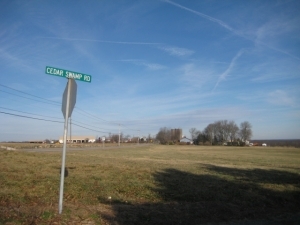 The Walk Book mentions a “Corey Homestead” in this area, so that may be what this is/was. 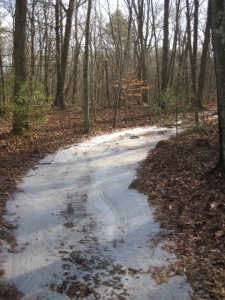 I took a left on the Pharisee Rock Trail which led back to Cedar Swamp Road. Upon seeing a few pickup trucks on the road with rifle racks, I decided not to continue into the woods up the side trail, preferring to leave that to another day. (That other day happened, here) Instead, I simply hoofed it back up to my car and drove over to the Porter Pond picnic parking area. Hey, I told you this (and future) hike was a bit muddled. I hopped right back on the Pachaug and made my way up a hill and over to the Pharisee Rock Trail junction again, only to turn back around, back down the hill (this was well over a mile, by the way, if you plan on copying me!) and then back down to Porter Pond and the end of my convoluted Section two (without stepping foot on section 1 yet) of the Pachaug Trail. There was one more bit of fun for the day… the River that flows out of Porter Pond is none other than Wood River – my namesake river! Too bad it’s in some town called Sterling that I’ve never really heard of before my hike here. But “Sterling” IS a positive adjective, so I’ll take it. 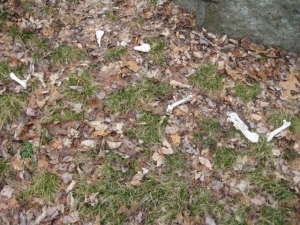 And finally, there was some poetic justice on the day; I began up in Plainfield off of Spaulding Road on the Quinebaug Trail nearly splooshing into a fairly fresh deer carcass… and ended in a little picnic area and a little pile of deer bones. Like I said… this is a different part of Connecticut to be sure. COULD YOU TELL ME WHO OWNED THE LAND BEFORE IT WAS THE STATE? MY GRANDMOTHER SAID IT BELONGED TO Willard William Gardner. The old place belonged to grandpa in those days. Today it belongs to the State of CT. I have painted it as it looked when I was a small child, spending the day there with grandpa. I was stationed at the sub base in Groton from 1971-1974. I bought the 9th edition of the CT Walk Book (1972). I ended up hiking the entire Pequot Trail (in sections), the Narragansett Trail (in sections), and part of the Pachaug Trail. 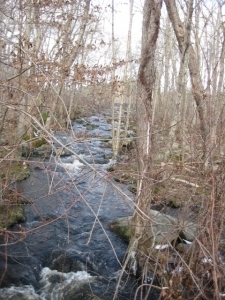 My hike on the Pachaug consisted of Rt 49 west to the Quinebaug Trail at Lowden Brook, south then west over Mt Misery and down to Route 138 west of Voluntown. 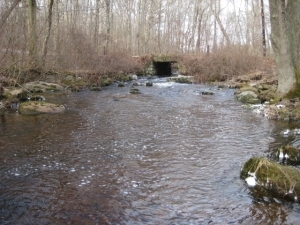 In those daus, the Pachaug came up from Beach Pond as far as Dawley Pond, the west to Rt 49, and on as I described above. 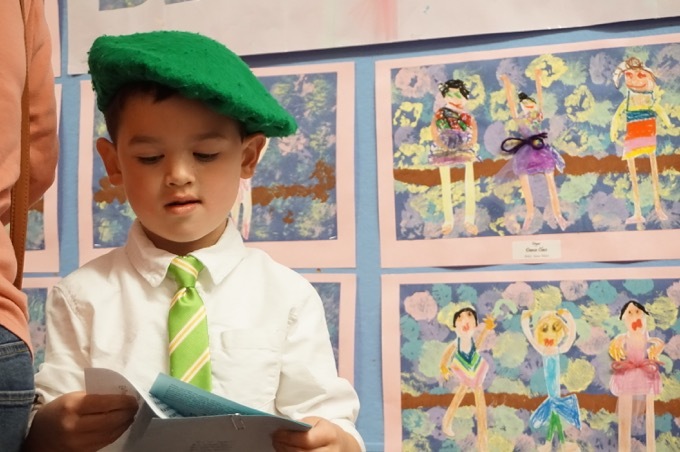 I understand that section from Dawley Pond west to Rt. 49 then to the Quinebaug has been abandoned. Anyway, I enjoyed your description of your hike. I was planning a trip early spring in an attempt to do the whole trail in a weekend. If it works out I will be taking a couple naps along the trail. This should be my girlfriends first backpacking experience. Have you camped along the trail at all?